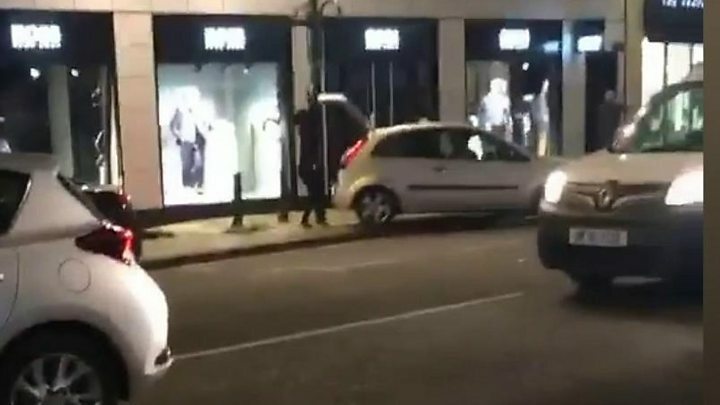 A gang stole bags of clothes after breaking into a city centre Hugo Boss store. The foursome used crow bars to get inside the shop on Vicar Lane in Leeds shortly after 20:00 GMT. The gang, who were dressed in black and had their faces covered, were seen taking bags which police believe contained clothes. A Ford Fiesta used as a getaway vehicle was later found abandoned in the Richmond Hill area. A black Nissan Navara was also believed to be used by the gang during burglary. Witnesses filmed the raid, which is the latest in a series of such burglaries on the street.